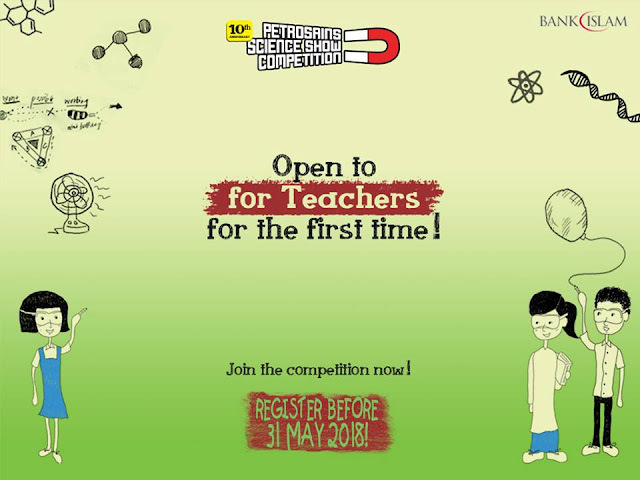 The Petrosains Online Science Short Video Competition is a special competition dedicated for all secondary school teachers to share their knowledge and expertise through digital world. Participants need to submit 3 minutes video of 2 or 3 demonstrations either in English or Bahasa Malaysia. Based on the judging criteria such as creativity, STEM content, Video editing and Originality, the winners will be selected by Petrosains. No state/zone/national level. The winner will be announced during PSSC 2018 grand final in October.